The Wisdom of Our Ancestors: Food Is Medicine! Looking at our healthiest ancestors' diet to determine what foods are therapeutic has turned out to be enormously successful. Nutritional researchers have studied cultures whose entire population was much healthier than ours is today. Dr. Weston A. Price, along with other well-known nutritional experts Sally Fallon, Dr. Robert Atkins, Donna Gates, Dr. Joseph Mercola, Dr. Andrew Weil, and Dr. Jordan Rubin, all present a common theoretical premise: many of the foods our healthiest ancestors ate are now so vital to the well-being of our bodies due to their nutrient content, that they can be considered healing to the body, or medicines! Dr. Weston A. Price. was a prominent dentist and researcher who conducted studies during the 1930s and the 1940s regarding the prevention of tooth decay, gum disease, and orthodontic troubles. He sought to understand what makes humans healthy and what allows humans to have perfect teeth—not what pushes people toward illness. Dr. Price analyzed the nutrient content of different foods to communicate to the world what nutrients gave health to whole populations of people. After visiting over fourteen tribes, clans, and villages whose members all displayed remarkable freedom from mental, physical, and emotional imbalances, he and his wife discovered all were vibrantly healthy people, as long as they were eating traditional diets! Image 1 Caption: The "primitive" Seminole girl (upper left) has a wide, handsome face with plenty of room for the dental arches. 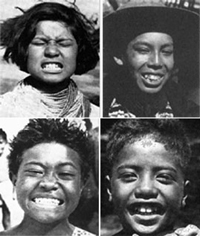 The "modernized" Seminole girl (upper right) born to parents who had abandoned their traditional diets, has a narrowed face, crowded teeth, and a reduced immunity to disease. The Samoan girl (lower left) was born to parents who ate nutrient-rich native foods. The Samoan boy (lower right) was born to parents who had abandoned their traditional diet. He has crowded dental arches, and will be more susceptible to dental decay. 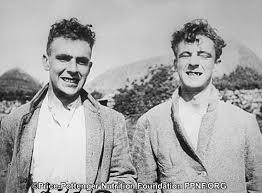 Image 2 Caption: "[The brother on the left had] excellent teeth and [on the right] rampant cavities. These boys were brothers eating at the same table. The older boy, with excellent teeth, was still enjoying primitive food of oatmeal and oatcake and sea foods with some limited dairy products. The younger boy, seen to the left, had extensive tooth decay. Many teeth were missing including two in the front. He insisted on having white bread, jam, highly sweetened coffee and also sweet chocolates. His father told me with deep concern how difficult it was for this boy to get up in the morning and go to work." Read more in Nutrition and Physical Degeneration by Weston A. Price, DDS. Ate up to ten times the amount of natural, non-synthetic, vitamin A, vitamin D, and Activator X in the diet as did most people of Dr. Price’s day. Never consumed refined or denatured foods including: protein powders, high-fructose corn syrup, hydrogenated oils, white flour, or fruit juice. Used both cooked and raw foods in their meals, especially animal foods. Ate raw foods high in enzyme content: dairy, meat, honey, cultured vegetables and tropical fruits like papaya. Furthermore, consumed lacto-fermented foods and drinks such as kvass, yogurt, and kefir. Always fermented, soaked, sprouted, or naturally leavened their seeds, grains, and nuts. Ate significant quantities (30%-80%) of their total diet in fat. In every case, polyunsaturated fats comprised only 4% or less of the fat in the diet. Omega 6 and omega 3 fats were in a ratio of 1:1, and generous amounts of saturated fats were also eaten. Included unrefined salt in their diets. Many of us descended from very different cultures with very different eating habits. You may be asking, "Do I eat the foods indigenous to where I live now or where my ancestors lived?” Instead of thinking rigidly about the foods your ancestors ate, take the common dietary factors from each of the healthy cultures that Dr. Price studied to determine your optimal foods. The foremost point to keep in mind is that no matter what ‘diet’ you choose, you need to eat foods that are rich in specific nutrients in order to be optimally healthy. The Optimal Health Center (OHC) plan is an easy-to-follow, clinically proven, traditionally based, and solidly researched dietary program that not only supports the body's nutritional needs but aids in healing such illnesses as Irritable Bowl Syndrome-IBS, Candida albicans, and diabetes, as well as other food intolerances and allergies. This plan is outlined in Kristina Amelong's book, Ten Days to Optimal Health.